I recently started to look into phrasal verbs. This is such a tricky area of English for my intermediate and early advanced language learners that I wanted to learn more about them. I found out that there are 3 types of multi-word verbs: phrasal verbs, prepositional verbs and phrasal-prepositional verbs. What are Phrasal Verbs? In a nut shell, phrasal verb proper is made from a verb and an adverb. 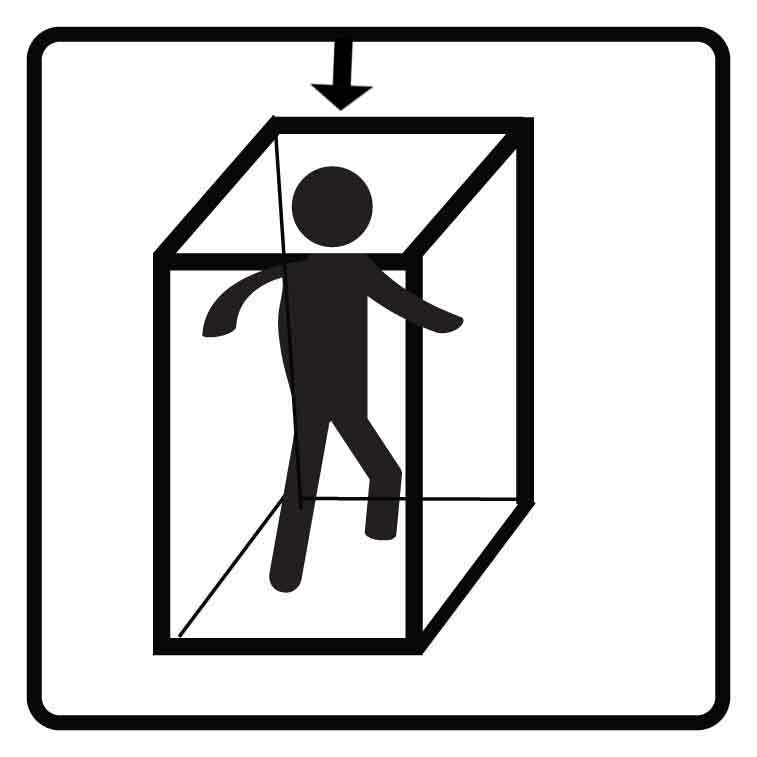 Phrasal Verbs can or cannot have direct objects. This appears to be where the 3 types of multi-word verbs differ. 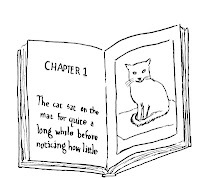 Today I will share what I learned about prepositional verbs. In a nut shell, prepositional verbs are made from a verb and a preposition and must have a direct object. Prepositional verbs can not be separated. 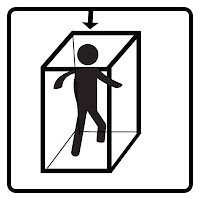 You cannot break up the prepositional phrase...who is breaking into the house...NOT...who is breaking the house into. This 10 page packet includes sight word spelling and reading games for the first 11 carefully selected high frequency words every ESL and native English speaker needs. It includes black lines, games and activities. Check out this great freebie! 20% off sale on my TPT store! Click on over to my TPT store today and receive 20% off all my products. This weekend I was wandering the web and found an extensive site for Systematic English Language Development (SELD) teachers. 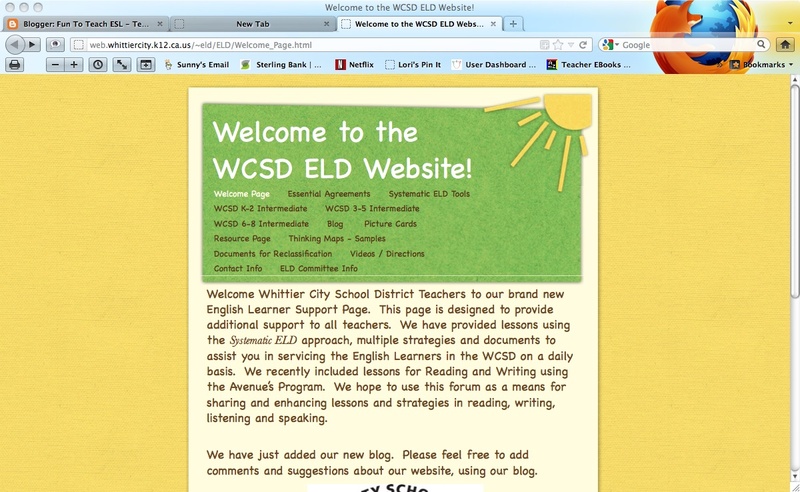 Whittier City School District has a website dedicated to SELD. 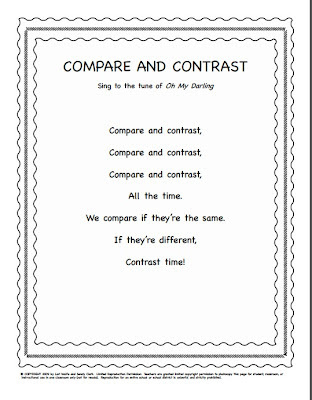 They have 15 weeks of lessons with pictures, thinking maps, and songs. 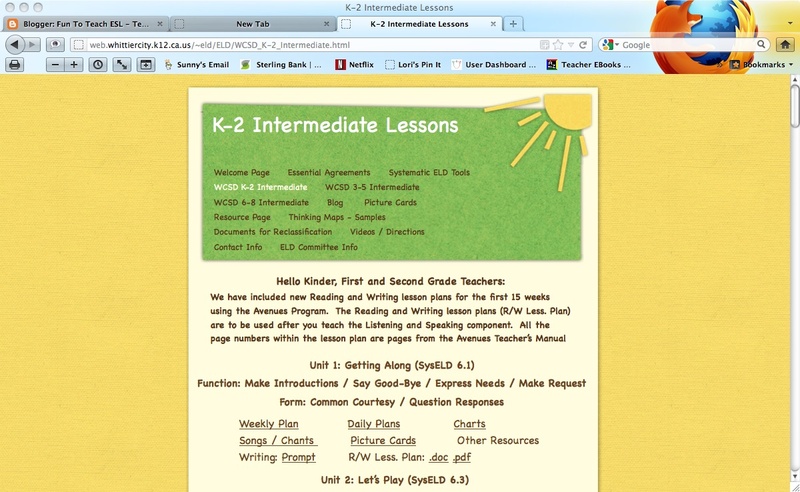 Their lesson plans are extensive and follow the SELD lesson plan format. It appears that they have lessons for only Intermediate language level, but they cover 3 grade levels at that language level, K-2, 3-5, 6-8. They say that their lessons are coordinated to Avenues, but because they are SELD based, they would be usable even if your curriculum is not Avenues. If you are looking for SELD lesson plans and the resources to go with each lesson, check out this site by clicking here! Let me know what you think of this resource. Don't miss this article, it is a great one to read and pass on to staff members and colleagues. It has relevant information that we should all know and practice! Here is a link and the very beginning of the article! Conference time is coming up and that gnawing worry about how you can effectively communicate with parents of your English Language Learner (ELL) students may be taking hold. Don’t panic. We’ve asked ELL specialist and author, Judie Haynes, to share with you some easy and effective tips for holding conferences with parents who may or may not speak English. Thanks Judie ~ great article! 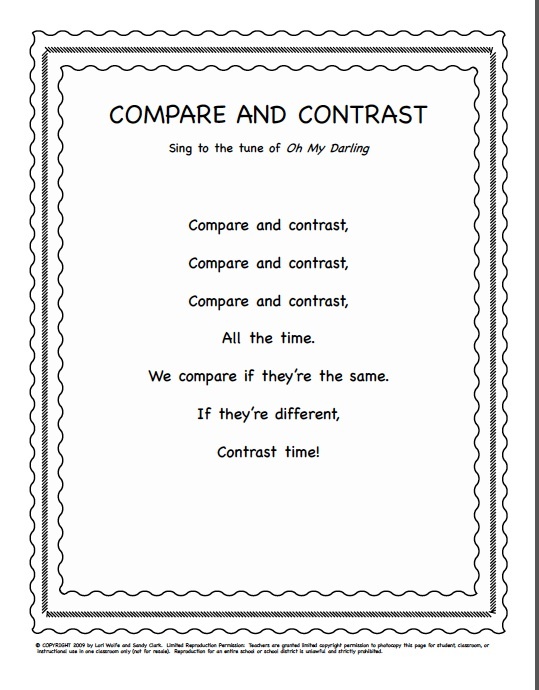 Here is a fun quick song to get your students ready for the language that goes with comparing and contrasting! It's Lori from Fun To Teach wishing you a happy weekend! 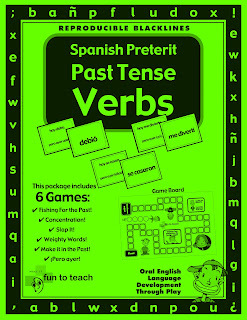 I created this great resource to teach Spanish Past Tense in my classroom and my kids have a blast and learn a lot! It is a simple game board and cards, but has 6 great games and activities. Click on the image below to see more! Click on the image to learn more about this fun product! Are your ready for more collocations? According to wikipedia (http://en.wikipedia.org/wiki/Collocation), There are about six main types of collocations-adjectives and nouns,nouns and nouns(a....of....),verbs and nouns,adverbs and adjectives,verbs and expressions with preposition, verbs and adverbs. Although grammar is important when teaching English, it is also important to teach ELLs which words go with which other words. Remember a COLLOCATION is an expression of two or more words that go together. Collocations "sound right" to native speakers, but are difficult for English Language Learners who lack the native speakers intuition. 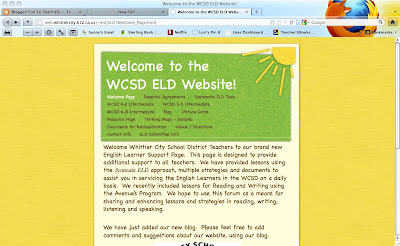 What is your favorite website, blog or app for teaching English Language Learners? for teaching English Language learners. Click on comment and let us know! 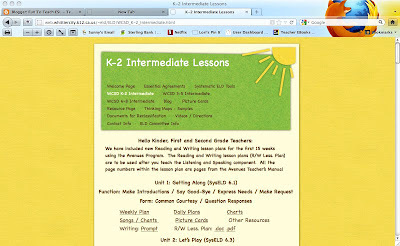 Fun To teach was mentioned in the TPT Newsletter today! Hi everyone Lori from Fun To Teach here. Fun To teach was mentioned in the TPT Newsletter today! Hurrah! 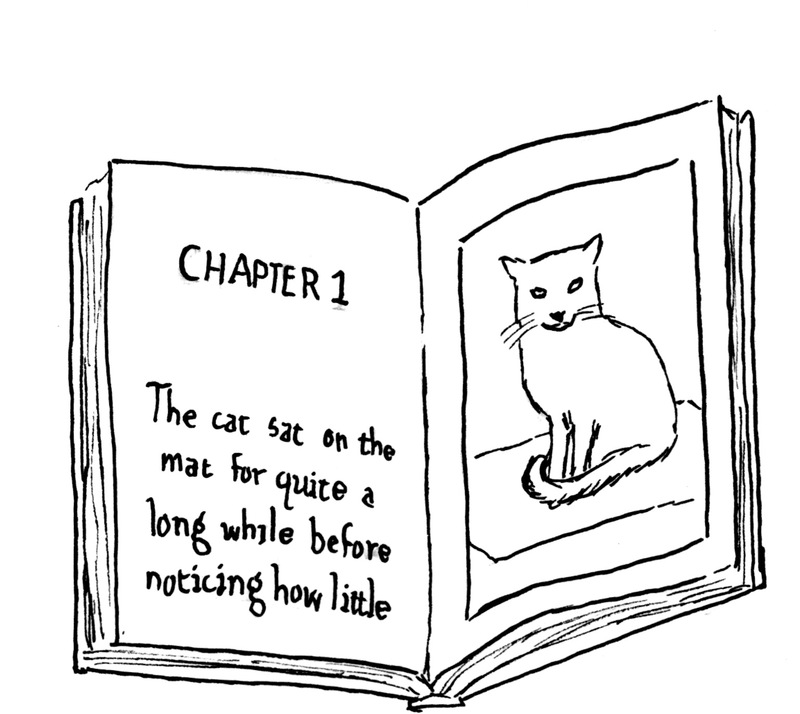 We really appreciate teacher-authors who create their own style rather than copying other successful sellers. Lori Wolfe, whose store is called Fun To Teach of Ashland, OR is an example of someone whose products have always had their own recognizable look and feel. Check out our Teachers Pay Teachers Store, click here. I received the Lovely Blog Award!! How wonderful is that? A BIG "Thank You" to Anne Marie at Innovative Connections for passing this award along to me! 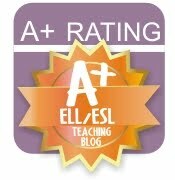 Please visit her great teaching blog! 2. 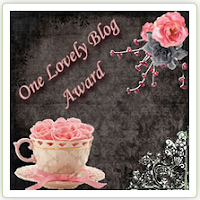 Pass the award onto 15 followers. Here are a few blogs that inspire me! Lori here from Fun To Teach! Here is a great freebie to practice multiplying with your Spanish speaking students. 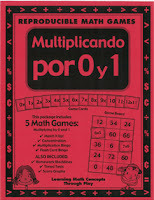 Stop over at our TPT store for this free individual Spanish package which focuses on Multiplicando Por 0 y 1. Teaching elementary students to multiply is quick and effective when students practice their multiplication facts with these fun and engaging reproducible multiplication games, lesson plans and activities. These games are effective ways to reach and teach your Spanish learners and at risk students. Differentiate your elementary instruction with this great 26-page multiplication game and activities. When I'm going to teach forms to 4th and 5th graders who are EA, what can I do with them that is more advanced? If I give them worksheets, they can get it, but they don't always carry it forward in their writing. Even if I have them write sentences, they don't carry it forward into paragraphs. How can I have them practice the forms and produce longer writing? What advice can you offer? Please post your comments! Add an ELL Tip to your Email Signature! Hello everyone this is Lori from Fun To Teach! We had a terrific workshop in Portland last Friday, so I thought I would post these great tips to use under your email signatures. It is such an easy way to educate your staff on successful strategies to use with ELLs! Please use the comment and tell us some of your favorites. Educate your colleagues with every email by using these ELL tips under your name and title signature! ELL Tip: Wait time for ELLs gives them language processing time. ELL Tip: Key vocabulary for each lesson should be emphasized: Introduced, written, repeated, and highlighted for students to see.